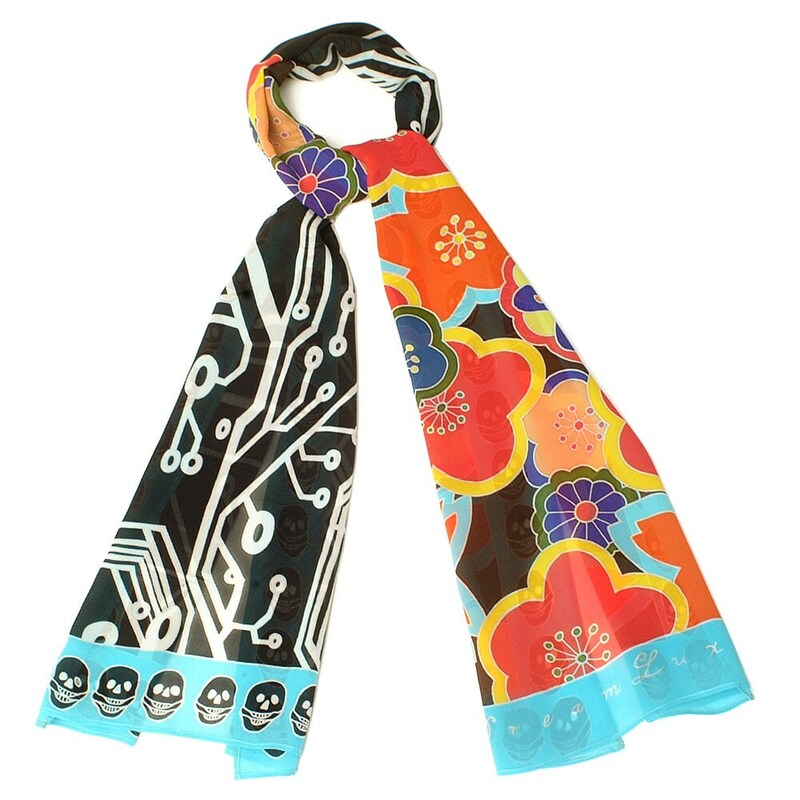 Simply gorgeous, unique very lovely and beautiful scarf inspired by Japanese kimono floral design. 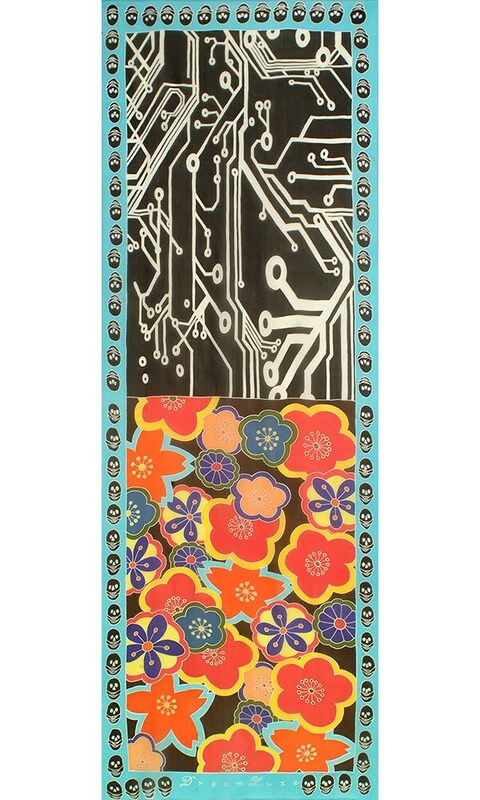 The flower are painted in colorful colors on one end and a black and white Printed circuit board pattern on the other side. The scarf is surrounded by lots of small skulls. This elegant, soft silk scarf is the perfect gift for any women for a birthday, anniversary or Mothers day. 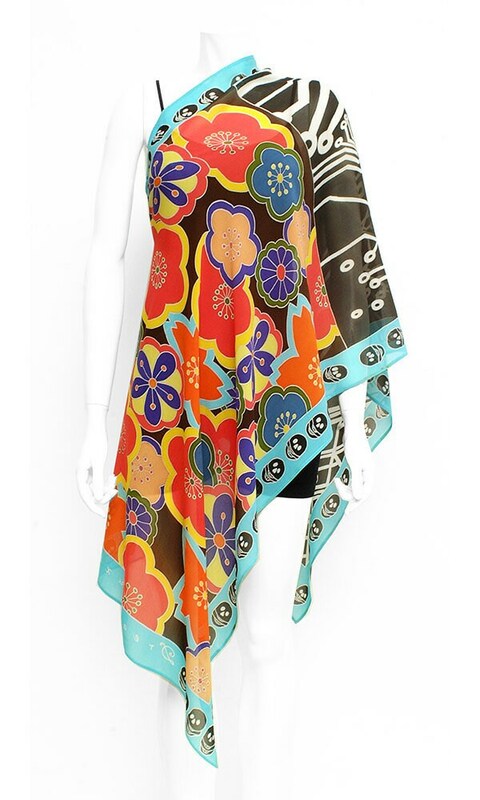 This scarf is 100% hand painted using the ancient technique of Batik. It took 5 days to finish this one of a kind work of art.